On November 4 at around noon Maldives time (07:00 GMT), the government of the tiny island state declared a 30-day state of emergency , citing threats to national security and public safety. The declaration  emerged after security forces uncovered several improvised explosive devices (IEDs) and weapons in different locations in the capital Malé. There will be no curfew, but freedom of assembly, right to privacy, right to strike, arrest and detention rights, freedom from search and seizure and some other rights have been suspended. According to UK newspaper the Guardian , the streets of Malé were quiet after the declaration, and soldiers had cordoned off water and power plants. Several people were arrested in raids. This live blog  at Maldives Independent is updating the situation. The country's vice president, who entered his 11th day of confinement in Dhonidhoo prison, released a statement  via his website expressing his concerns over the security situation and mentioning that the state of emergency will jeopardise the economic future of the country. The news came as a shocker to many. 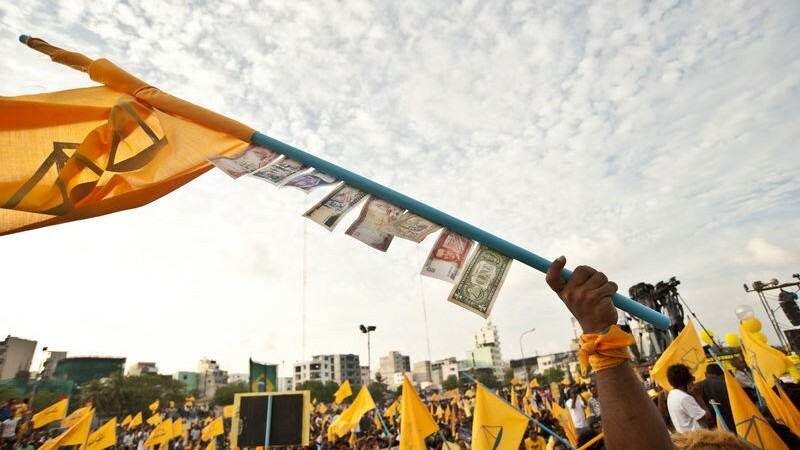 The main opposition Maldivian Democratic Party (MDP)  has planned a mass protest in the capital titled ‘Minjuvaan’  for Friday, November 6. Ex-President Mohamed Rasheed , the leader of MDP, is in jail following his conviction  last March under anti-terror laws. The state of emergency will give sweeping powers to security forces to arrest suspects before the anti-government protest rally. Tension began brewing in the country following an explosion on President Abdulla Yameen’s speedboat on September 28, which wounded his wife and two others. Yameen was unharmed as he was not sitting in his usual spot in the boat. Recently, the FBI contradicted other investigators’ analysis and said  it had found no evidence that an explosive device had caused a blast aboard the president's boat. But the Maldives’ authorities maintain that it was an attempt on his life. President Yameen detained Vice President Ahmed Adeeb  on October 24 on suspicion of links to blast after accusing him of “high treason”. Even though this sudden state of emergency is announced as a precaution due to the bomb threats or even the demonstration that has been planned, our rights are being violated and regrettably there is no institution that we can turn to for a fair ruling despite how much we want to challenge it. This is nothing to make fun of. We don't have visionary leaders with goodwill and common good. That is the reason why we have to be here after fall of H.E. Maumoon regime, 8 years later. A small nation with substantial economic growth and resources with no immediate threat to communal peace and harmony should not be here. It is a shame that we created such rogue elements within the society rather than good governance.